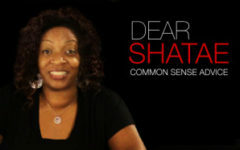 Dear Shatae: I’m overweight and my boyfriend gets off on watching me eat. I wanna live a healthier life, but he won’t let me lose weight. What should I do?